Ireland has been placed 11th in a ranking of 22 countries measuring risks and behaviour of online interactions. Microsoft’s Digital Civility Index (DCI), which placed the UK and the US first and second respectively, has been released to mark Safer Internet Day 2019. The attitudes and perceptions of residents (aged 13-74) in 22 countries around digital civility was researched in the study. Out of more than 11,000 people surveyed, each country had a minimum of 500 respondents, 250 adults and 250 teens (in the 13-17 age group). Three types of risks that stood out in Ireland’s results compared with global averages included ‘sexual risk’, exposure to behavioural risk and encountering fake news. Some 68pc of respondents said they received offensive or obscene content (‘sexual risk’) while 66pc of Irish people said they were called offensive names online. This type of behavioural risk was 15 points higher than the global average of 51pc. Furthermore, more than half (58pc) of Irish people said that they had come across fake news online. Managing Director, Microsoft Ireland, Cathriona Hallahan said that “while negative consequences for teenagers remain high, this year our research found some positive trends with a substantial increase in teenagers turning to adults for support”. Millennials (72pc) and teen girls (70pc) suffered the most impact from online risks, either behavioural, intrusive, reputational or sexual. This exposure impact compares with 65pc of teenage boys. 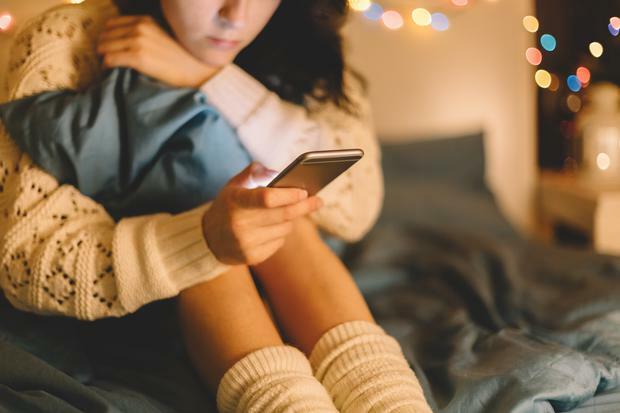 In terms of experiencing moderate or severe pain due to online risks, 66pc of teenage girls reported this, compared to their global peers at 64pc. However, just under half (47pc) or Irish teens sought help from their parents, with 31pc asked another adult they trusted. “The more we educate young people about internet safety, the more teenagers will ask for help to deal with online risks,” said Ms Hallahan.